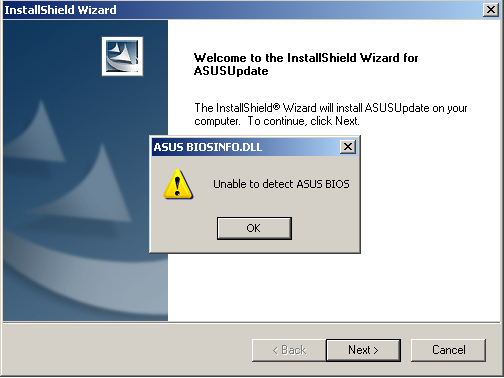 I am trying to do BIOS update from Asus update software from winxp OS but that software is not getting installed. Its giving following errors and aborting. I want to upgrade it to latest bios available 1009. I tried with putting that bios file in USB and doing it by pressing alt+F2 and setting USB FDD, USB HDD as first boot option from bios but nothing further happens. 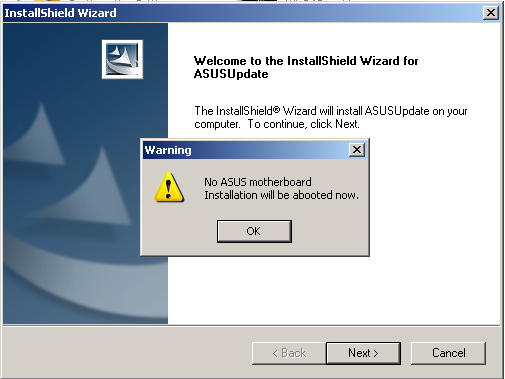 Thats why I am thinking to upgrade it from OS but even that asus update software is not getting installed. Now I am confused what to do? Any recommendation? 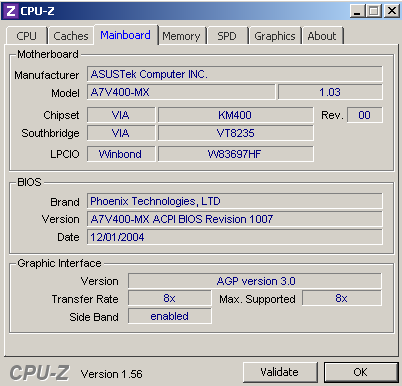 Re: Asus Update says"Unable to detect Asus Bios"
Your board is too old to be supported by this software. Either flash from a floppy disk or from a bootable USB-stick. Make sure Legacy USB support is enabled in Bios or it won't find the files on your stick. Denniss wrote: Your board is too old to be supported by this software. Either flash from a floppy disk or from a bootable USB-stick. I don't have floppy drive. How to make bootable USB stick? Should I just put latest bios file 1009.bin in USB stick and make 1st boot device USB FDD/ USB HDD or anything I should do to make it bootable? Also what should I do if anything goes wrong, any precautions? It says my board is crash free but I don't know how to restore if anything goes wrong. Sorry for being so dumbo. 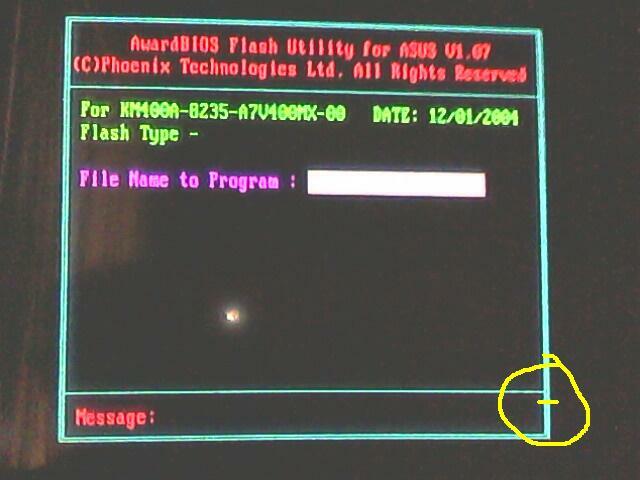 I had put 1009.BIN file in USB and made 1st boot device USB-ZIP from bios. When starting I press [ALT]+[F2] to enter AWDFlash utility. After this I get this screen. The cursor there at bottom keeps blinking and nothing happens next. Press any thing or type any thing doesn't have any effect. The cursor keeps blinking there. How to load bios file in that flash utility? I am using ps/2 keyboard and mouse only. I can do Num Lock on/off but nothing gets typed! I fear it is really looking for the floppy drive. remember this is a bit of code in the bios itself, written as small as possible, so as legacy as possible. try and borrow a floppy drive+cable from somewhere, use that.